You’ve finally got your divorce finalized and you are happy to say you can move on with your life. But how important is your child’s opinion after the divorce? Especially when it pertains to meeting the new person in your life. It is important that this introduction is planned carefully since you don’t want to offend anyone. The same way you want your child to have respect for your new date — should be the same way you want your new date to respect your child. Children should not be forced to accept the new person in your life. 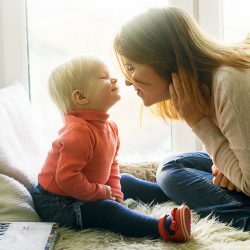 It is understandable that you like this new person and you want your child to like him or her as well, but the child may still be coping with the divorce and may feel mom and dad could still work things out. Transition and adjustment are important when introducing children to new people. Every situation is different — some children can adjust very quickly to new people. However, all children do not show their emotions especially older children who want to make their parents happy. The introduction stage should be a gradual one and not a forced meeting. Ask your child first, how they feel about meeting the new person in your life. Please do not be offended if the child refuses to meet your new friend. Perhaps this is their way of saying, I am not done healing yet”. Remember: Just because you have moved on after the divorce, doesn’t mean your child has.